WASHINGTON - Who doesn’t like babies? Sen. Orrin Hatch, a father of six, grandfather of 14 and great-grandfather of 23, said he had “no problem” with such a rules change. “But what if there are 10 babies on the floor of the Senate?” he asked. 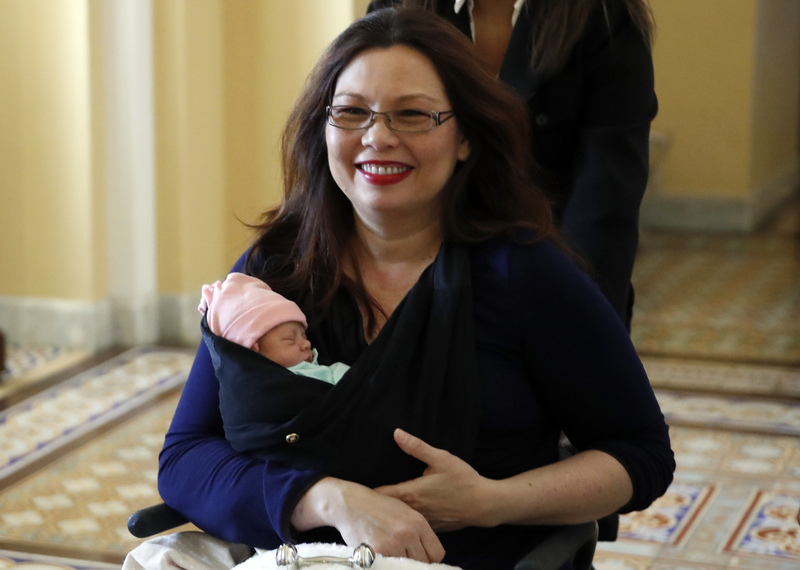 The inspiration for the new rule is a small bundle named Maile Pearl, born April 9 to Illinois Democrat Tammy Duckworth —the only sitting senator in U.S. history to give birth. Duckworth tweeted Thursday that she may vote on the nomination of Rep. James Bridenstine to run NASA. 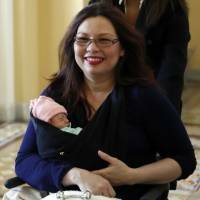 A Duckworth aide confirmed the tweet is authentic and said the senator would only vote if her vote is needed to break a tie. Their concerns and more were shared by Republicans and Democrats in a 100-member body in which the average age of members tops 60, according to interviews Wednesday. Most senators, though, were supportive, Klobuchar said. Majority Leader Mitch McConnell and Rules Committee Chairman Roy Blunt, both fathers, helped or did not stand in the way. McConnell did not answer a reporter’s question Wednesday about whether he had any concerns about babies on the Senate floor. “Why would I object to it? We have plenty of babies on the floor,” joked Florida Republican Sen. Marco Rubio. Diaper bags are generally used to carry clean diapers and other supplies when parents and babies go out. Sometimes, they hold dirty nappies until they can be disposed of later.